I toiled over this blanket for so long. Its original incarnation looked nothing like this. In fact it was going to be a simple square, half double crochet alternating between the back and front loops in a striped pattern. Somehow along the way I kept decreasing my rows. The first time I did not get very far into it before I unraveled it. The second time I thought perhaps it just needed to stretch out. I do not know what happened. All I knew was that I felt that I had just begun crocheting not that I had been doing it for 9 years. I was dumbfounded. Finally, I scrapped it all, actually I left what I had finished together and let my cats sleep on it for a few days and instead went for the yarn still in balls from the store. Initially this was going to be a blue dominated blanket as it is for a baby boy, but then I went for the grey/white dominated with blue accent. Eventually I booted the cats off of the original one because I need to unravel it for extra yarn. And here is how it ended up. I’m worried it might be a bit girly because of the frilly sides due to the circle pattern. In all I am happy with it but I will not be crocheting a blanket for anyone for awhile. In fact, maybe ever. Unless I buy really chunk yarn that whips up fast. I have definitely learned to favor the quick quilts I have made for a few friends. Time wise they whip up in a few hours, money wise they can be a bit more expensive unless I make separate trips to craft stores with coupons. Yarn isn’t cheap either and I don’t always buy the lower end stuff for babies. 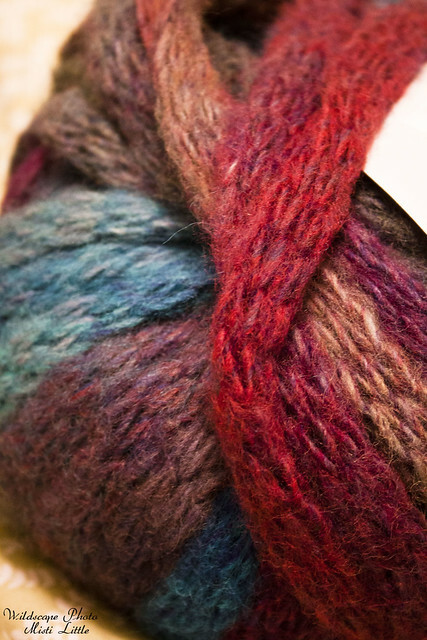 My tastes in yarn have grown finer over these 9 years. My mother in law went beyond my normal line for fine yarns and bought yarns that I probably would have splurged on only occasionally. It was definitely a great idea for a Christmas present and I have yet to figure out what to make with them. 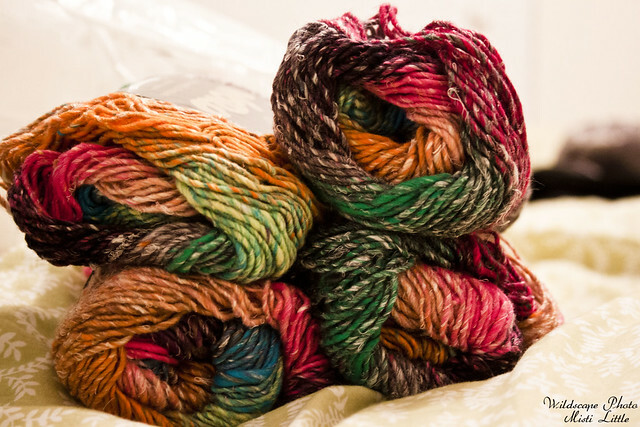 This is sock yarn. I think I have recovered enough from my last pair of socks to make another pair. I am still looking for knitted (or really nice crocheted) candy corn colored socks for Fall/Halloween. I’m hoping this is enough for a shrug but I might have to buy more if it isn’t. Love these colors so much! 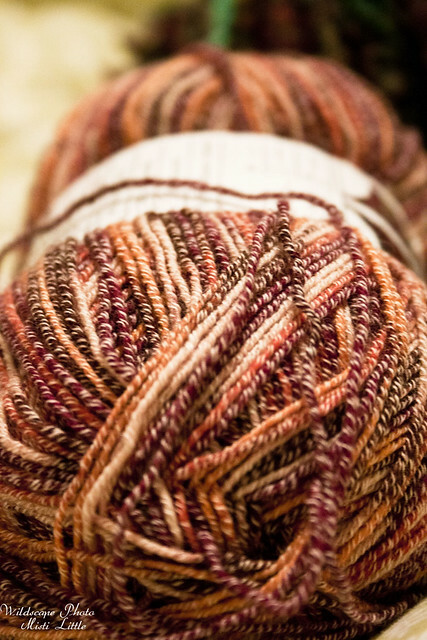 This will be a great chunky scarf! Now that I have finished the blanket I will probably put crochet on hold for awhile. I need to write and process a lot of photos. +Sideways: Never saw it when it initially came out. It was not what I imagined, good but not nearly as much wine as I imagined. Slightly depressing. +Emma: with Romola Garai. I had listened to most of this on my mp3 on the AT so I knew the story. I still feel the ending is rushed and so is the pairing between Emma and Knightley. +North & South: This has to be my absolute new favorite. Mr. Thornton is the 1850s industrial version of 1800s Mr. Darcy. Rent this. See this. You will fall in love! +And if you aren’t watching Downton Abbey you must be living under a rock. Ok, I’m not currently watching because I watched all of S2 on YouTube, including the most recent Christmas special, but everyone in the U.S. is watching on PBS right now. Rent S1 and then catch up with S2. And if you have 30 minutes to spare, listen to Elizabeth’s commentary on the new season. Gosh, I HAVE to start crocheting. Seriously. 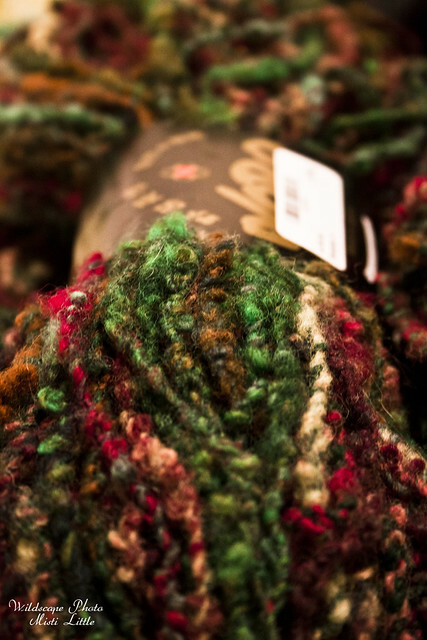 I’m so into colors and texture and yarn, yet I just keep my distance. We have Downton Abbey all queued up, but we’re working through the previous two seasons of “Justified” first. I’m still unsure about that show, but we try watching anything that gets critical acclaim. I will, however, admit to being the only person on the planet who did not enjoy “Game of Thrones” at all.